Enjoy our April Birthstone collection. Just ask! Send me an Etsy conversation; I'm always happy to answer any question you have. All orders are free gift wrapped! I am also happy to add a gift card and mail it directly to the recipient! I am happy to offer a sweet and unique Personalized Tiny Disc Charm Pendant to the clasp of the necklace upon request! Please contact me for more details! Have an idea in mind ? I'm also happy to help! Please send me a conversation via Etsy and we can get started! Are you a retail store looking at stocking my products or create a line for you? Please contact me here for further information. Enjoy and come back often, for new designs! I love my hoop my 14k Gold hoop earrings. The quality and craftsmanship are great. Don't miss our 15% limited Sale!! Creating, colors gemstones my family and joy are my passion! My name is Annali, I am a jewelry designer from Israel. Before That, I Worked as a Sport Therapist, Hydro Therapist and yoga instructor, especially with elderly and disabled people rehabilitation. Due to my health, I had to quit my job and was looking for new and creative way and livelihood that will suit my ability and enrich my soul. I am a mother and a young grandmother:) and I really enjoy all that!!! I love my big happy family! The meaning of my name in Hebrew is: "god answered me", as my parents prayed for having me. Reut is a goldsmith and designer and she is in charge of creating our collection and along with Roei, our wonderful shop manager in charge of customer service. I invited by my goldsmith friend, Rony Shumel from Tabaotshalom to share a collective shop with me, and work on new handmade designs I had in mind. We enjoy designing together, and inspiring one another. You can enjoy our Silver, Gold, Gold filled, Brass and gemstones hand crafted creations and have more variety and diversity of designs and materials to choose from in my shop! I feel that our unique work combining Gold, Gold filled and Silver and Brass with semi-precious stones brings out your essential skin tone and inner radiance. The antique, yet fresh look, has a sophisticated appearance without being pretentious. I love creating gentle, minimalist and feminine jewelry that brings out your essence. I believe in the energy concentrated in the stones and in their beneficiary effect on our life. Creating, colors, gemstones, my family and joy are my passion! By virtue of being hand-made and the nature of the stone, color variations and texture are normal. Items are not identical to the illustration, but just as pretty! Please read my shop policies before commiting to purchase. Don't hesitate to contact me if you have any questions about your order, product information, or shipping options. I'm happy to take personal orders, for a special event, as a gift, or just because it is time to treat yourself to something new and exciting. Wholesale inquiries are welcome! Just contact me to find out terms and pricing. PLEASE NOTE my pieces are deliberately designed to be dainty, delicate, petite and feminine. If you are unsure of the sizes, please refer to a ruler. Most of my pieces are photographed on my hand and on a model to give you a view of approximate real-life sizing. PLEASE NOTE that pictures are deliberately taken to show detail in my pieces. Therefore, please be aware that the piece will look larger in the pictures than it actually is in real life. Please see the piece description for true measurements/sizing and refer to a ruler if needed. ✤ PAYMENT can be made through Paypal, a secure online payment system which is very easy to use. You may already have an account. If not, you do not need a PayPal Account to pay for your items through PayPal. You can choose the PayPal option during checkout. After you submit your order click the "Pay Now" button. Scroll down and you will see the option to pay with a credit or debit card WITHOUT having to sign up for a PayPal account. Enjoy and come back often, I hope you find many items that you like. It is very important for me that you are happy with your jewelry. I accept returns and exchanges within the first 15 days of receipt. The item must be returned in perfect and unused condition in it's original packaging, by registered mail only!! Please contact me to request a refund. Exchanges and Refunds will be issued minus shipping charges, fees, handling fees and customs, after I received the jewelry back in perfect condition. If you have an item you bought in my shop that needs repair you can mail (registered mail only!!) the item to me for a free repair minus shipping charges . I will mail the item back to you at no charge. Just message me first. 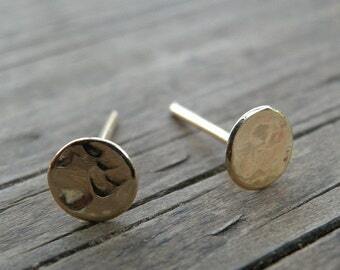 Returns or exchanges are not possible for earrings (for hygienic reasons), bridesmaids orders or custom made orders. Please note that customs fees and charges have nothing to do with your prepaid shipping costs, and are not covered in your Etsy purchase. These are assessed directly by your country customs and the actual cost is determined at their discretion. ✤DHL PRIORITY REGISTERED MAIL For US, UK, Germany, France, Canada, Australia, Belgium, Netherlands, Spain, Denmark, Sweden, Italy, Ireland and Poland customers the average time is around 7-12 estimated business days. (tracking number included). ✤UPS EXPRESS MAIL .......2-3 estimated business days ..........Additional $25.00-$35.00 (tracking included). Please send me your cell phone number for the UPS delivery! **Please note that in some countries in Europe you might have to pay VAT or customs fee when shipping via UPS. ✤EMS EXPRESS MAIL .......3-6 estimated business days ..........Additional $30.00 for most international destinations (tracking included). **Please provide cell phone at the note to seller box upon check-out! **Please choose the Upgrade shipping upon check-out! **Please note that in some countries you might have to pay VAT or customs fee when shipping via UPS. Packages are sent by standard DHL tracked priority registered mail from Israel. In order for your order to arrive in time for the Holidays*** I recommend that you use expedited shipping! Shipping and handling time is between 1-7 business days from the time you order. The delivery time by standard DHL registered mail is 7-12 estimated business days. The average time is around 10-12 estimated business days. During holidays shipping time may take longer!!! If you require expedited shipping during the holiday season,please use the upgrade shipping upon check-out! I am happy to offer Upgrade Expedited UPS express 2-3 business days, the cost is $25 to most destinations and $35 to Australia. Please provide cell phone at the note to seller box upon check-out! EMS takes up to 3-6 estimated business days, and costs an additional 30$ for most international destinations. As every piece ordered from my collection is custom made for you, please allow up to 7 days for items to be ready for shipping. *DHL tracked priority Registered airmail 7-12 estimated business days. (For US, UK and Germany customers the average time is around 7-10 estimated business days). *I am happy to offer Upgrade Expedited UPS express 2-3 business days, the cost is $25 to most destinations and $35 to Australia. *EMS Express signed airmail - 3-6 estimated business days, for an additional 30$ for all international destinations. ✤Orders are shipped once a week, depending on the order. After shipping, the package usually leaves Israel in 2-3 days and gets to the destination in 12 estimated business days. FOR EXPRESS SHIPPING (3-6 estimated business days, depending on destination and can take longer during the holidays), please let me know and use the upgrade shipping upon check-out! The rate will be an additional $25-$35 for most international destinations. ✤All jewelry comes packed in a gift box, please let me know if you'd like me to write a personal greeting on a card. ✤All orders are shipped to your ETSY ADDRESS provided, unless otherwise noted. ✤Delivery times are estimated, I am not responsible for postal customs or holiday delays. ✤The buyer is responsible for any extra taxes that customs might claim. ✤Cancelations- Etsy has this as an option to REQUEST a cancellation and it will NOT cancel your order, only send a request. Please know that due to the way I process my orders during the Holidays and busy periods cancellation requests will not be processed unless made within ONE hour from placing your order, so please double check before you order! Once an order is placed it will ship. I do offer Upgrade shipping! Please contact me! 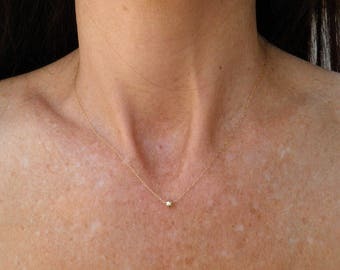 ✤Brass and Gold filled has a tendency to darkening according to the pH of your skin. 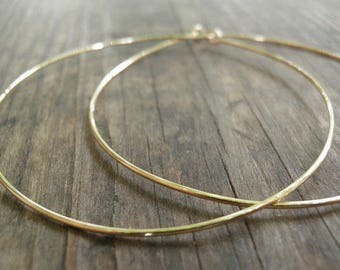 Due to the nature of hand-crafted delicate jewelry, please wear, handle and store with care. Do not perfume while wearing gold filled and Gold plated jewelry. It is actually recommended to shower with the jewelry so that you wash the oils from your skin that transfer to the metal and need to be washed off periodically. ✤In order to keep Silver, Gold filled and Gold plated jewelry from getting darker, you shouldn't perfume with the jewelry on. The oils from your skin transfer to the metal and need to be washed off periodically. Care should be taken when cleaning gold-filled and gold plated jewelry to protect the layer of gold from being worn away or nicked. Do not use abrasive compounds to clean the jewelry, you can find Silver and Gold filled liquid cleaner that you dip, wash in water and wipe it with a soft fabric.You mustn't dip the gemstones in the cleaner!!! ✤Regarding Silver, I usually use the Sterling silver 925, an alloy of silver containing 92.5% by weight of silver and 7.5% by weight of other metals, usually copper. Fine silver (99.9% pure) is generally too soft for producing functional objects; therefore, the silver is usually alloyed with copper to give it strength but preserving the ductility and beauty of the precious metal. 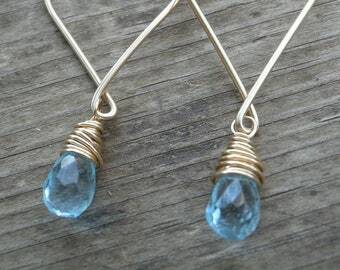 However, I do use the fine Silver wires for wrapping the gemstones. ✤I use 14k Gold filled and 1 micron and 2 micron Gold plating (it is not solid Gold), Gold filled is composed of a solid layer of gold bonded with heat and pressure to a base metal such as brass, covered by sheets of gold in a mechanical bonding process. A thick coat of gold that content is 5% or 1/20 of the total weight.Gold-filled and 2 micron plated items are much thicker than regular gold plating. It can last longer and looks beautiful! Also I read that when a layer of gold is affixed on all surfaces by any mechanical means, and the weight of the gold is a minimum of 1/20th of the total weight of the metal in the article, it may be marked “Gold Filled (GF)”. The quality of the gold used is typically 10, 12 or 14 karat gold with 10 karat being minimum. Synthetic opal/ Lab opal these types of gemstone are created in controlled laboratory conditions. They contain most of the common elements that occur in natural gemstones. From my research I read that one of the elements that are missing in the lab opal is water, that makes the synthetic opal more durable and harder than the natural opal. The first person to create opal was a Frenchman by the name of Pierre Gilson, Sr. of France in 1974. The different look between a Synthetic opal to natural opal is that the synthetic opal have a very regular pattern. It is rare to find a natural opal with the regular pattern and brightness as of a synthetic opal. As the Lab opal is created in large chunks it will have a consistent color and pattern throughout. You won't find two natural opals with the same pattern and color. With lab opal you can make as many similar pieces of jewelry as you like. At the moment most opal available at suppliers shops are Synthetic/Lab opal. 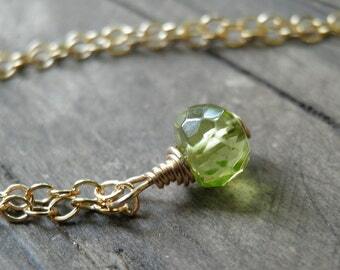 ✤PLEASE NOTE my pieces are deliberately designed to be dainty, delicate, petite and feminine. If you are unsure of the sizes, please refer to a ruler. Most of my pieces are photographed on my hand and on a model to give you a view of approximate real-life sizing. ✤PLEASE NOTE that pictures are deliberately taken to show detail in my pieces. Therefore, please be aware that the piece will look larger in the pictures than it actually is in real life. Please see the piece description for true measurements/sizing and refer to a ruler if needed." Please contact me for any further questions! Enjoy, and come back often! I will list new items frequently. To fulfil your order, you must provide certain information (which you authorized Etsy to provide sellers), such as your name, email address, postal address, payment information, and the details of the product that you’re ordering. Your phone number may also be needed for certain shipping services. You may also choose to provide me with additional personal information (for custom orders, for example), if you contact me directly. You have the right to receive a copy of the personal information. Change, restrict use of, or delete your personal information (Absent exceptional circumstances for legal reasons). Object to processing of some of your information based on my legitimate interests. Object to receiving marketing messages after providing your express consent to receive them. By using my contact information below.